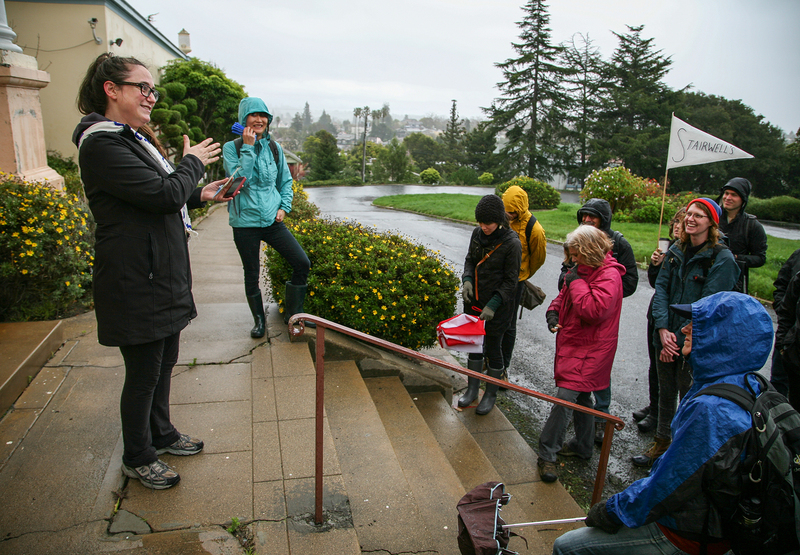 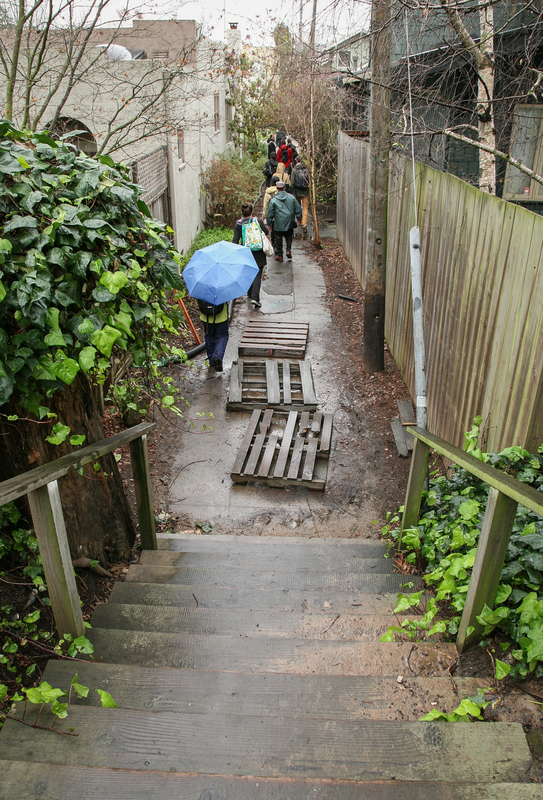 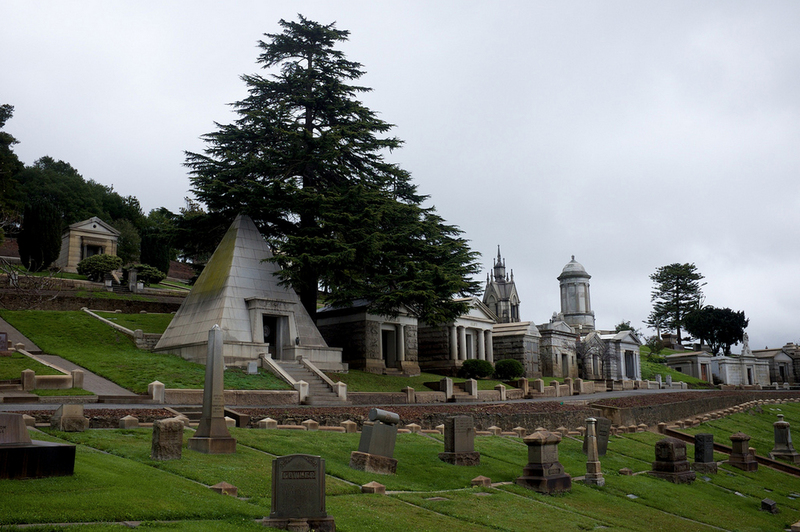 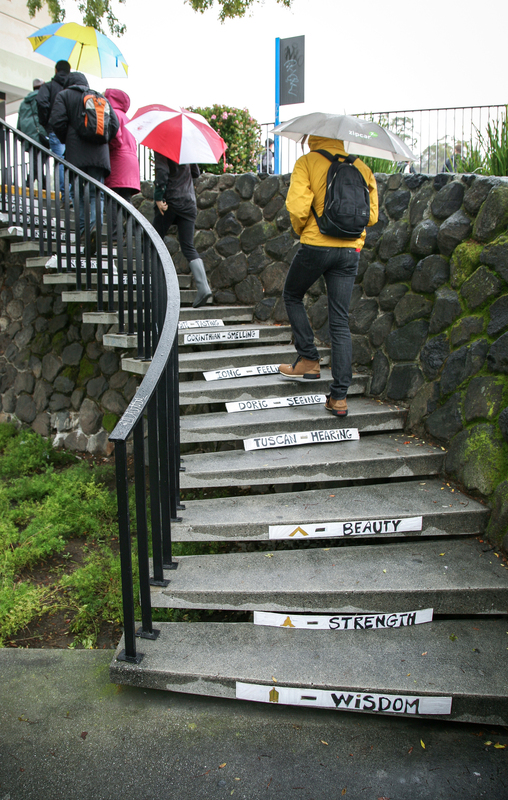 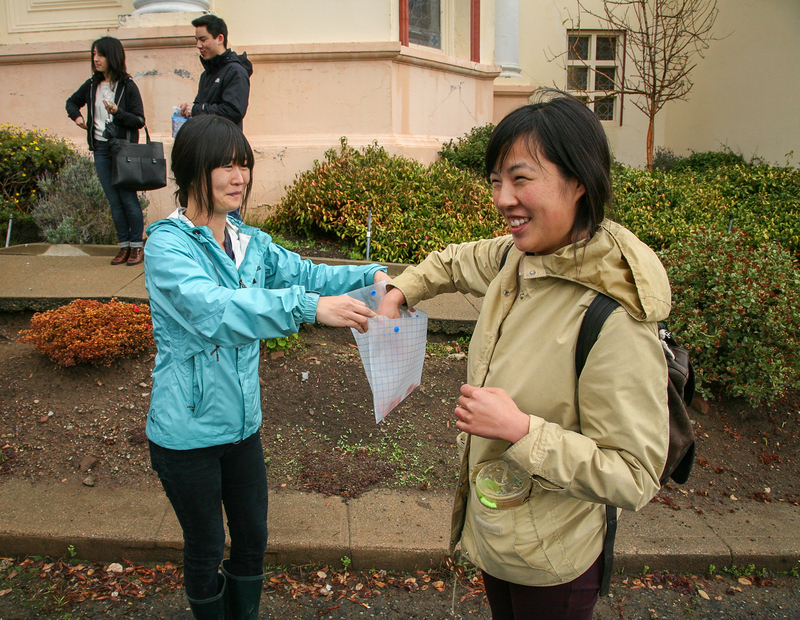 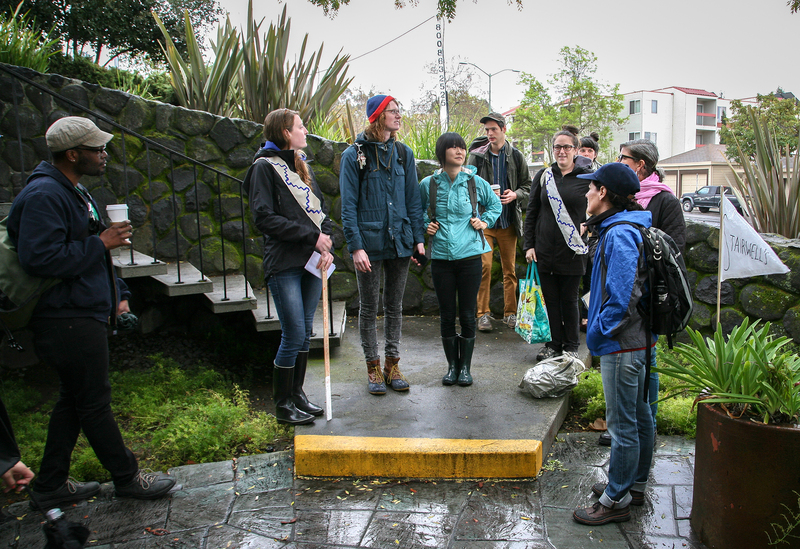 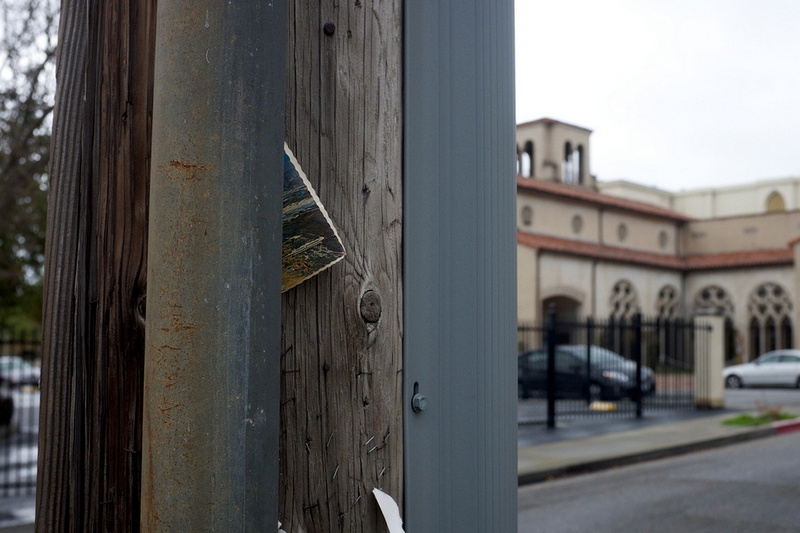 The fifth Stairwell’s Field Trip was a walking tour of stairs, stones and pyramids in North Oakland. 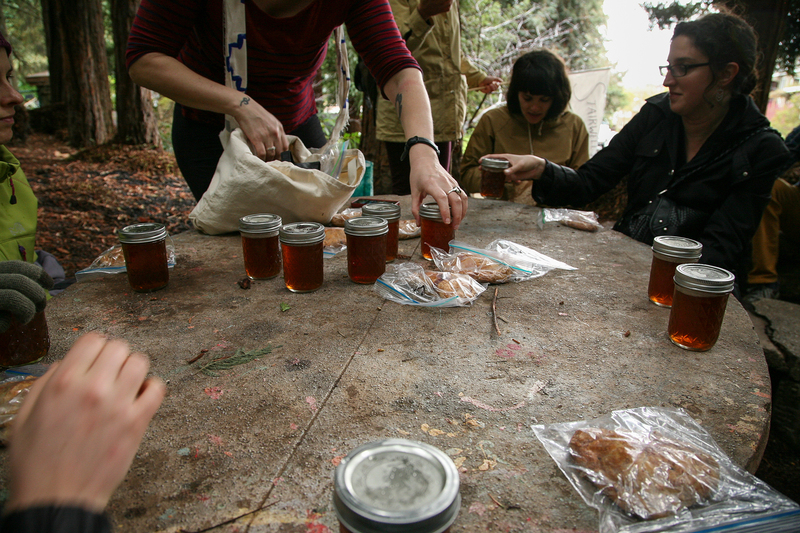 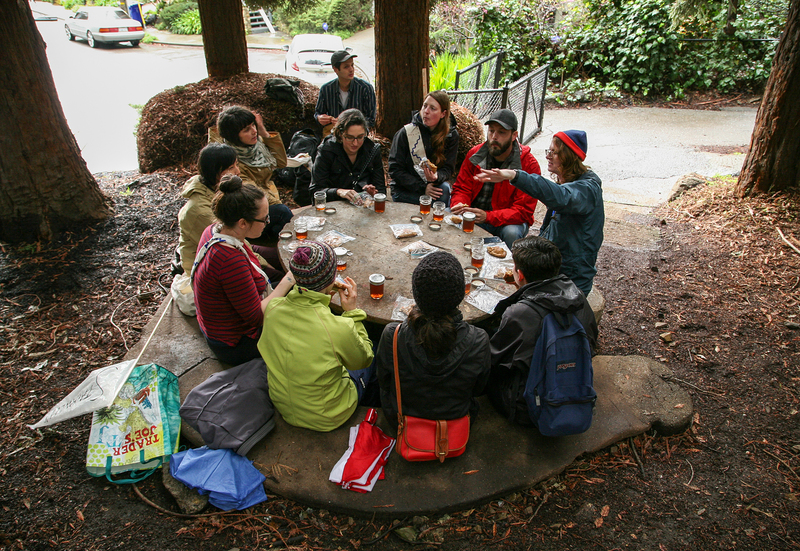 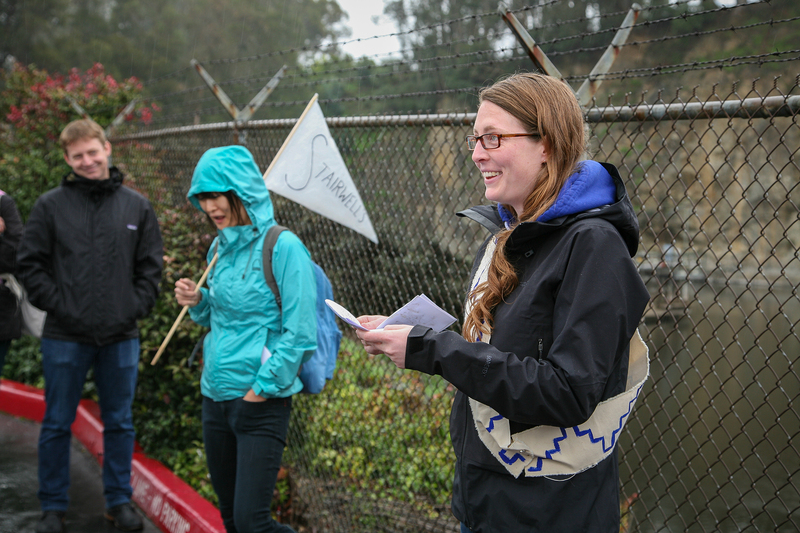 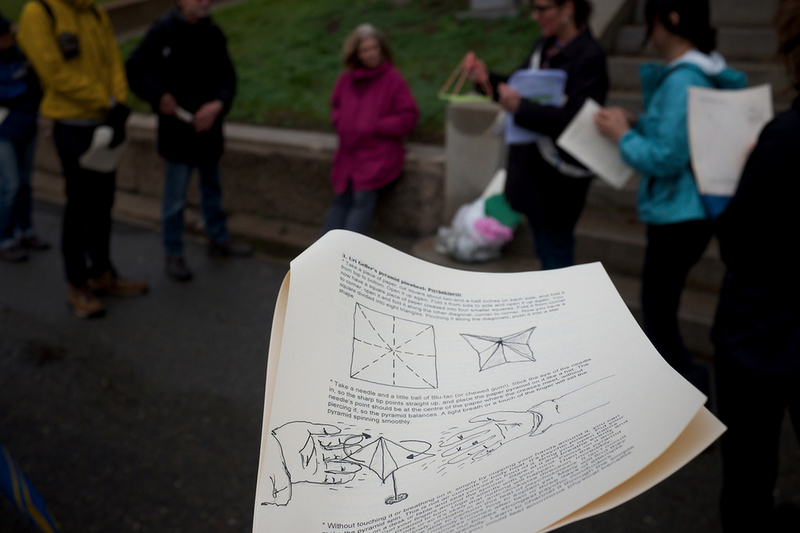 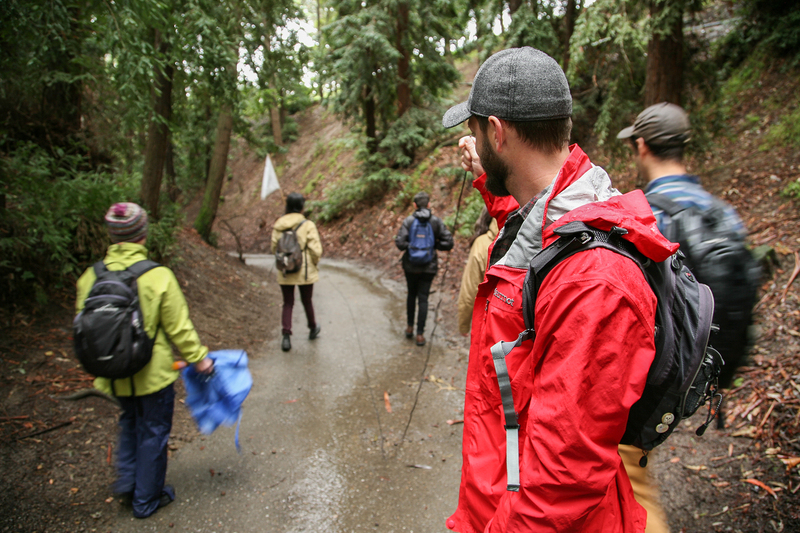 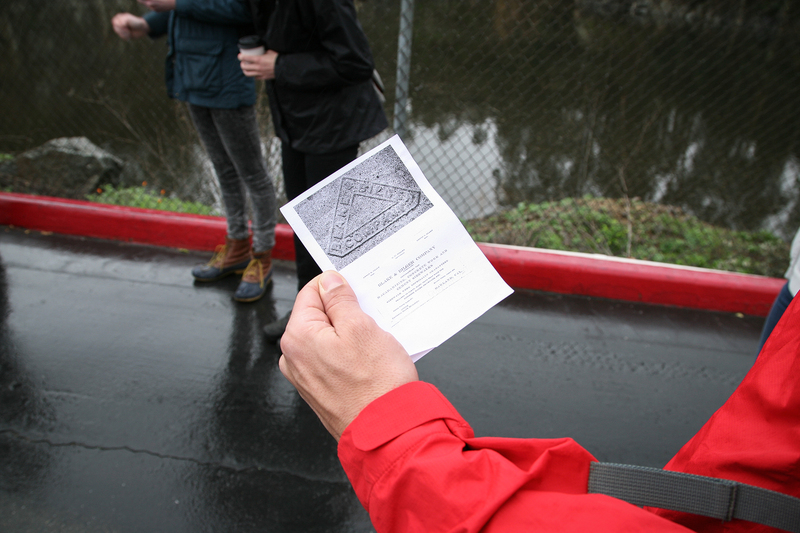 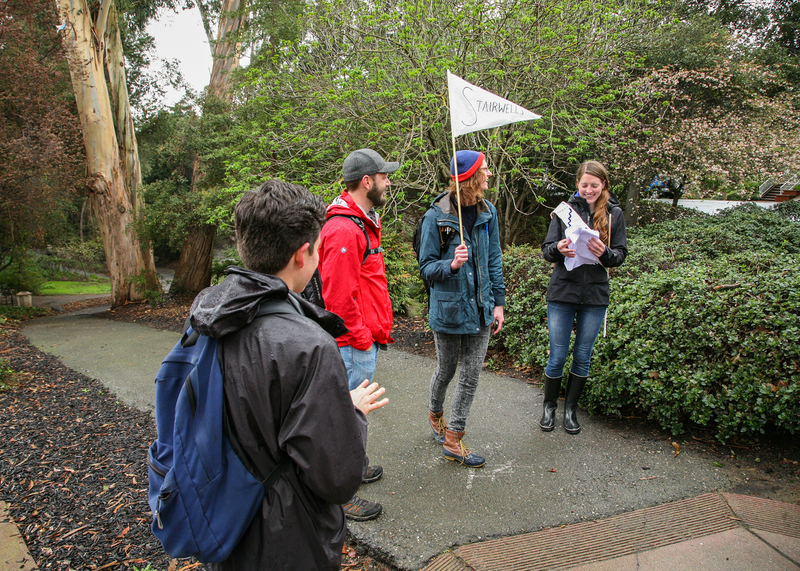 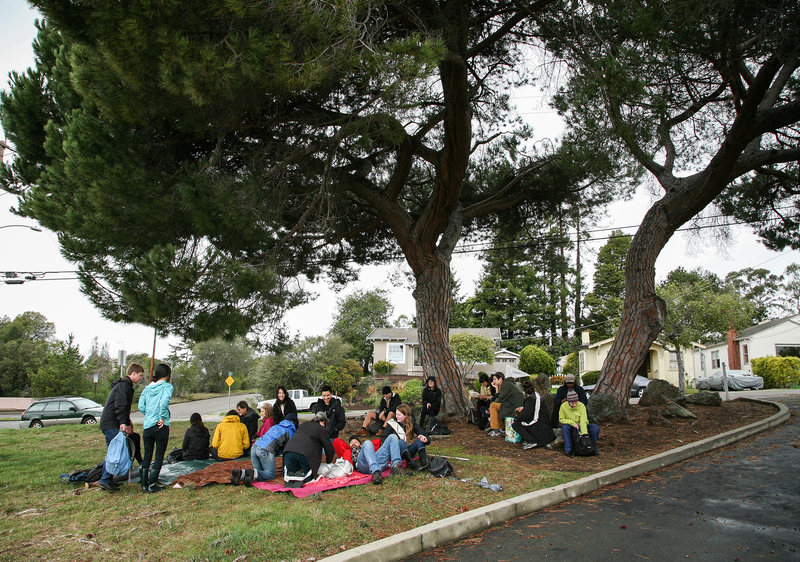 Guest field trip leaders Elizabeth Bernstein, Kari Marboe and Stacy Martin presented site-specific Oakland history, described esoteric rituals, provided Gold Rush era snacks and created a space for contemplative wandering. 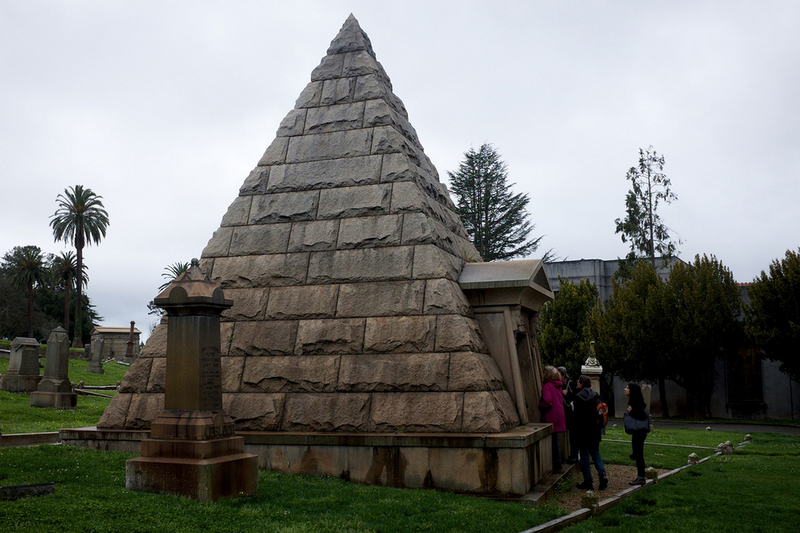 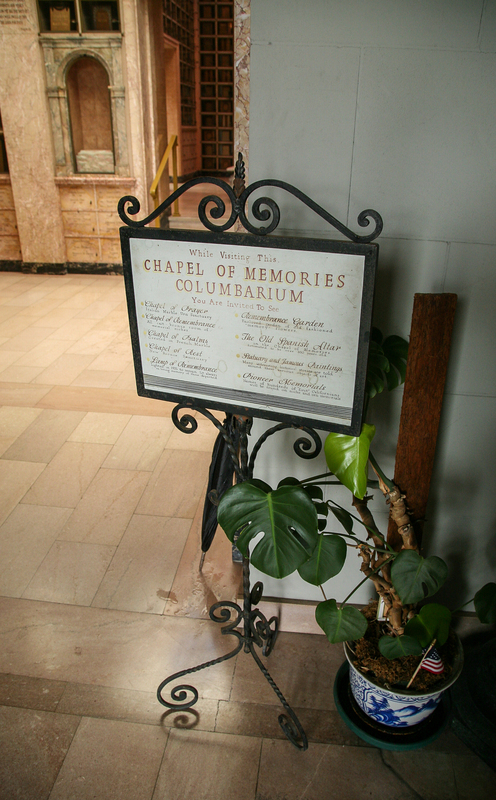 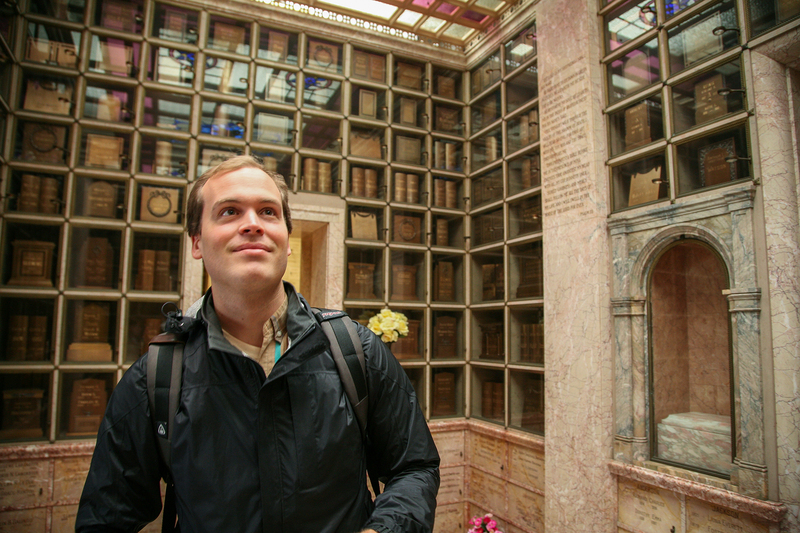 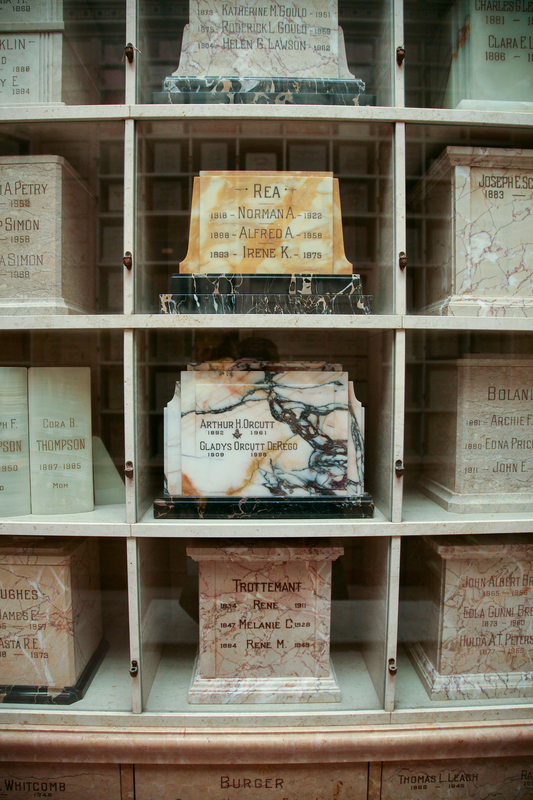 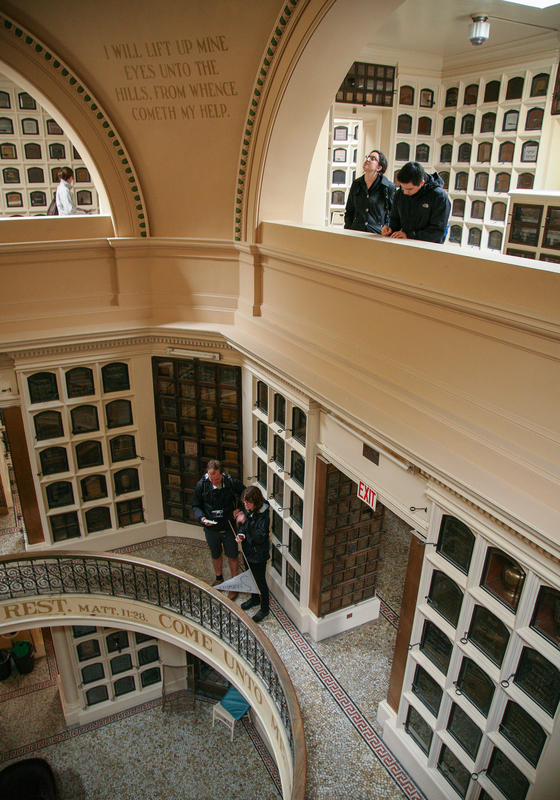 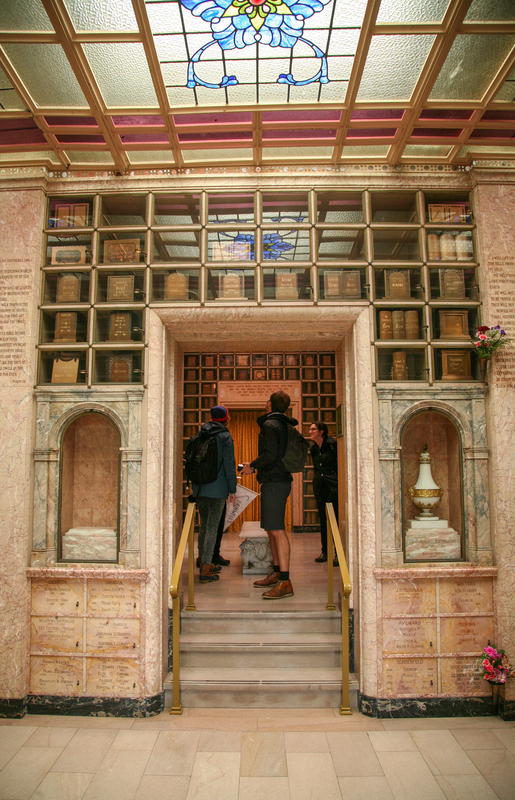 Locations visited included Dracena Quarry Park, Chapel of the Chimes Columbarium, Mountain View Cemetery, Chase Bank and a water-filled quarry behind the Rockridge AAA.